The magical path is a short path, one that reaches its destination quickly, and for that reason, it’s appealing and useful for a great many people, including artists, young people, the overworked, underpaid, overwhelmed, or hopelessly lazy. The magical path is a direct path to success as you choose to define it. You work directly with the creative forces of the universe, so that the life and the world you picture and focus on in your imagination very quickly become your life and your world in full, three-dimensional reality. This is a course in real magic. Real magic exists, absolutely. It is called by many different names by different people all around the world. Whatever word or words you use to describe it, it is the mysterious process by which something is created out of apparently nothing. It is the process that has created this entire vast universe with you and me sitting in it and pondering these words at this moment. It is the ever-mysterious process of life — call it what you will. I’ve always liked the word magic. I still have memories of the mystery and wonder of childhood, and the word has always fascinated me. You can call it by many other words, including physics or chemistry if those words seem more accurate or sensible or realistic to you. You can call it intelligent design — whatever you call it, however you imagine it to be, there is obviously a vast intelligence within the forces that design and create this universe. You can call it God, you can call it science. You can call it creative visualization. You can call it strategic planning. Successful people use magic all the time, whether they’re aware of it or not. Many people who use magic very effectively don’t believe in it, and don’t even like the word or the concept of magic at all. The word has a great many negative meanings for a lot of people. Yet a large number of them have found out how to apply what we can call the laws of manifestation and — yes — magical creation in their lives. They just give the process different words. Choose whatever words work for you. The words themselves are not that important — they are tools to summon powers that are far beyond our words. Call this mysterious process anything you want. For the purposes of this course, we’ll call it magic. but we can consciously set it in motion. 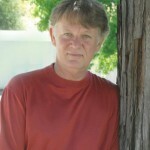 The process begins in the inner world of the mind. It begins with a thought, a dream — something ephemeral, fleeting, as light and vulnerable as a tiny seed blown in the wind. By focusing on that thought, that dream, we can discover how to create it in our lives and our world. We can create something out of apparently nothing. 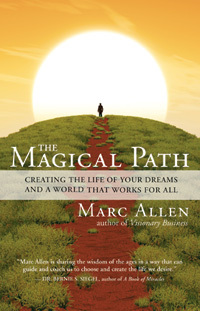 Marc Allen, author of “The Magical Path”, is an internationally renowned seminar leader, entrepreneur, author, and composer. 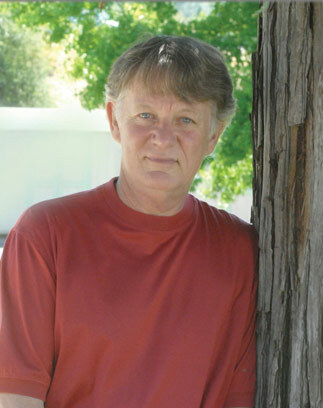 He co-founded New World Library (with Shakti Gawain) in 1977 and has guided the company, as president and publisher, from a small start-up to its current position as a major player in the independent publishing world.